Over the years I’ve tried more beauty products than I am able to count, mainly because it’s been part of my job, and also because I’m a bit of a product junkie. Although I prefer organic and/or vegan products, I find I have to use more active products to see visible results. Most of the products listed here do not fall into the organic or vegan category, however, on a forthcoming post, I’ll share my go-to’s in this category. This stated, I’d like to share with you the 6 most effective beauty products in my accoutrement, in no particular order. I’ve been using this Foreo cleansing device for about 8 months, and it has many pros, starting with the fact it is made completely of silicone. Silicone doesn’t harbour bacteria and also feels very gentle on the skin. In fact, when I first used this device, I didn’t feel my skin had been properly cleansed. Upon going over my skin with toner on a cotton pad, I realized there were no traces whatsoever of any debris. 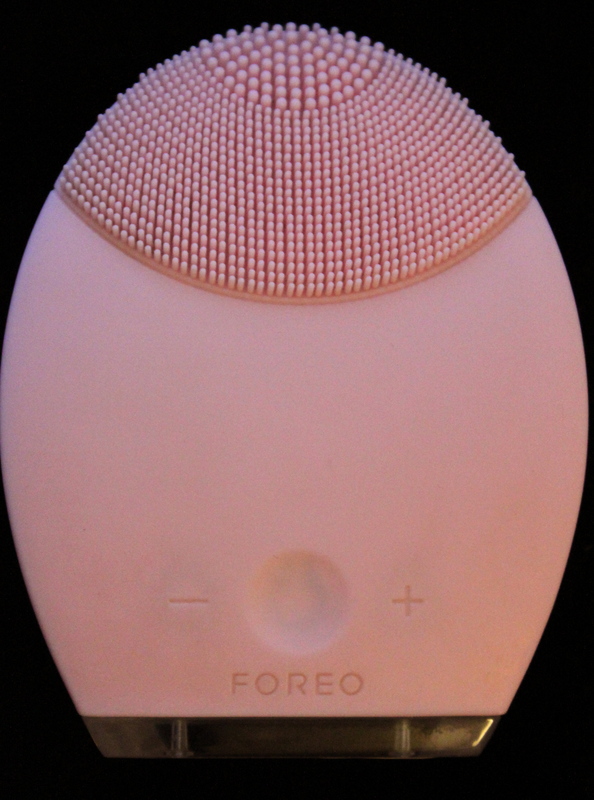 After about one month, my skin became used to the type of cleansing the Foreo delivers. The size of the Foreo makes it perfect for travel in the handy bag which accompanies it, and it only has to be charged twice per year. It also has 8 settings and the backside allows for massaging moisturizer on to the skin. The only very slight downside to this device is it does not time your cleansing routine. It is also available for men in a more course version for their thicker skin. Raw, African Black Soap is handmade in West Africa, and the ingredients can vary depending upon the region in which it is made, however, it is typically made with a blend of: plantain skin, cocoa pod powder, tropical honey, shea butter and virgin coconut oil. This is it, no preservatives, artificial fragrance or colouring…au natural. Black soap is a natural source of vitamin A & E and contains a high amount of glycerin, which all help to strengthen yet keep the skin and hair soft. Yes, it makes for an excellent shampoo, as well as shaving cream for men. It also helps to heal acne and blemishes related, and many give it great reviews for addressing eczema and psoriasis. I order my African black soap in bulk, it lasts for years if properly stored. 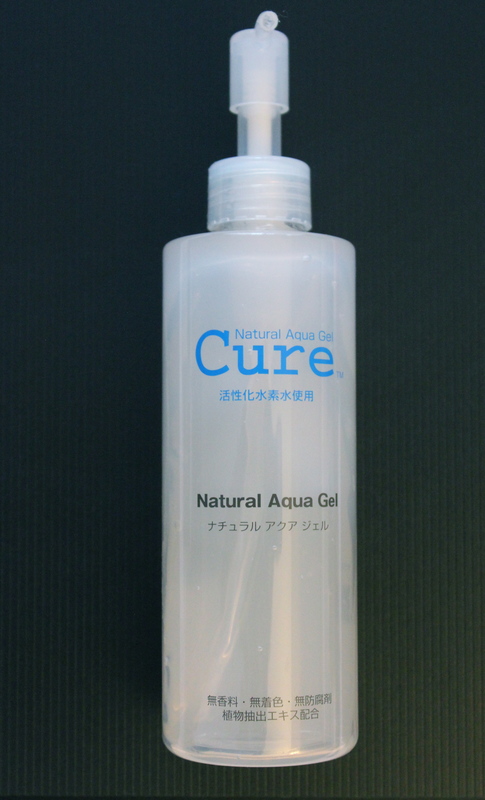 Cure Natural Aqua Gel is an exfoliant made in Japan. This product is absolutely amazing! It exfoliates the skin without the use of grains. It contains softening agents, brighteners and most important of all you literally see the skin balling up and rolling off the face within seconds. It’s made up of Ginkgo Biloba, Aloe Vera and other plant extracts, it should be used no more than twice per week…although enticing to use more. I’m not sure how it works so effectively, given the fact, aside from the plant extracts, it contains activated hydrolyzed water, yet is free of acids which are most commonly used for effectively exfoliating the skin. Whatever the case, it stands up to the claims, and is the number one selling exfoliant in Japan. I’m a huge fan of oils and use them on my hair, face and body faithfully and have been for years. A high quality essential oil most closely resembles sebum, which promotes healthier skin. For the most part, most oils I’ve used have kept my skin super soft and have evened out the skin tone beautifully. 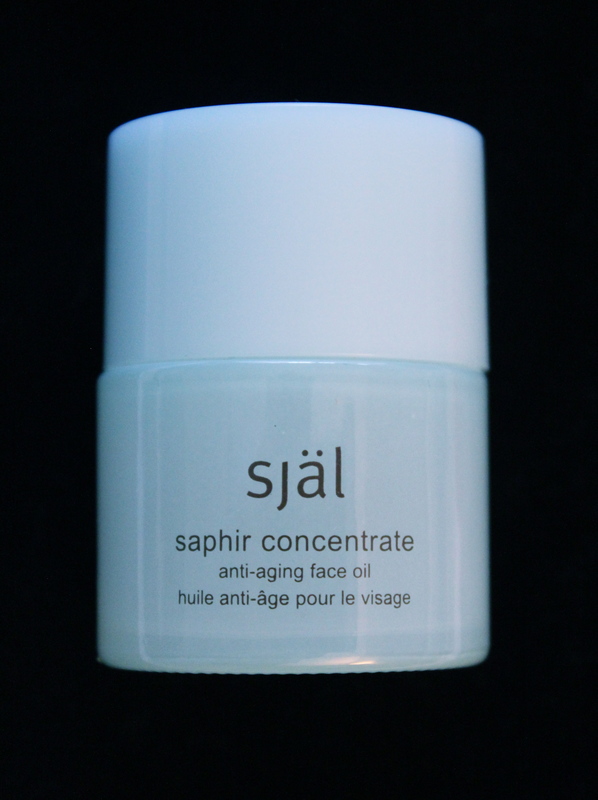 Själ Saphir Concentrate has done much more for my skin than my typical oils because of the anti-ageing benefits. Because of an anti-ageing bioactive complex, it visibly diminishes fine lines and wrinkles by plumping and improving the elasticity of the skin. This oil has worked wonders on my skin, used sparingly, it goes a long way. This product is seriously magic in a bottle, the results are beyond astounding. 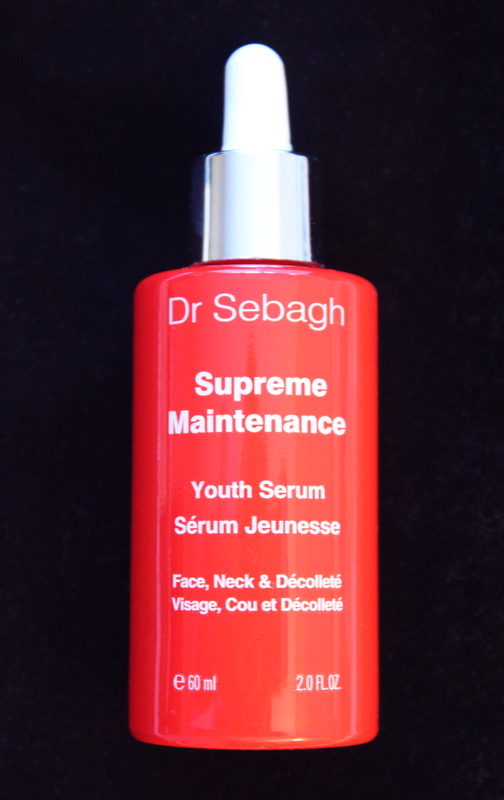 I saw results almost immediately upon my first application of Dr. Sebagh’s Supreme Maintenance Youth Serum. In fact, this product has transformed my skin so drastically, I have no need for foundation, except for special occasions. It has evened out and brightened my skin, diminished lines, minimized my pore size and greatly improved the overall texture. Youth Serum gives a perpetual glow to the skin, and is one of the most common compliments I’ve received since using it. Looks like this one is due to be replenished soon, lol…another one of my faithfuls. 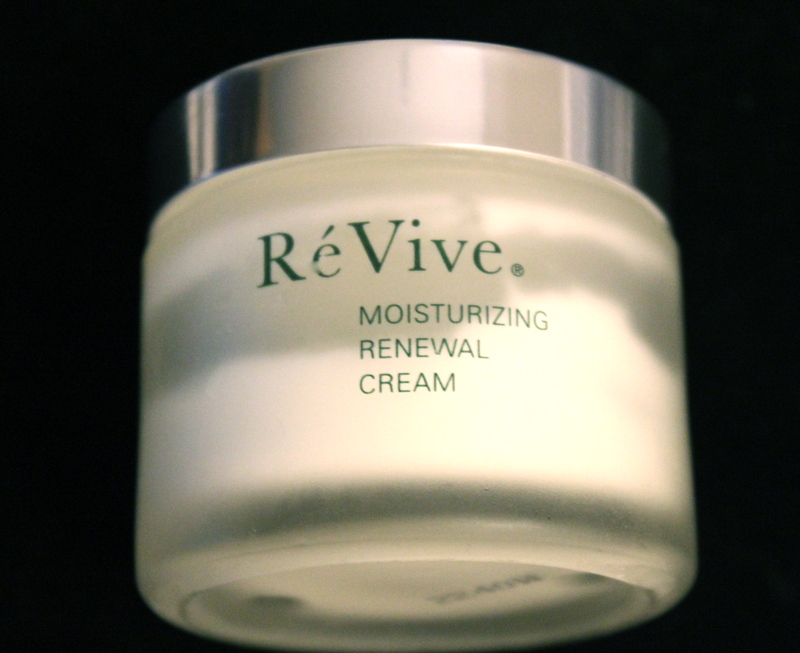 RéVive Moisturizing Renewal Cream was created by Dr. Gregory Bays Brown to help burn victims heal more expeditiously. Because of it’s huge success, a full line of skincare was spawned, to meet the needs of every skin type and demographic. I use this cream over my Youth Serum every night and the combination is like a mini at-home surgical treatment. The two main ingredients which garner guaranteed results within two weeks are glycolic acid, an organic exfoliant, and a highly active solution of EGF, an epidermal growth factor. I won’t go into specifics about this ingredient, at the risk you’d be bored to tears, suffice it to state it is a brilliant addition in the ingredient line-up. This product has been revamped and is now called Moisturizing Renewal Cream Hydrator and housed in a green jar. So this is my list of personal favourite beauty products, which have honestly transformed my skin, of course a healthy diet and plenty of water play an integral role as well. If you have favourites, please email me or let me know through chat, I’d love to check them out! After cleansing, I follow with the DHC Pore Lotion, which is a toner. Typically, I’m ambivalent when it comes to toners, either I feel too much of my natural oils have been stripped, or that it hasn’t done anything at all. The DHC Pore Lotion seems to be an exception, after applying it, my skin feels as if I’ve moisturized, and it looks nourished. The ingredients are also appealing with: brown algae and mushroom extract, not to mention a natural grapefruit scent. 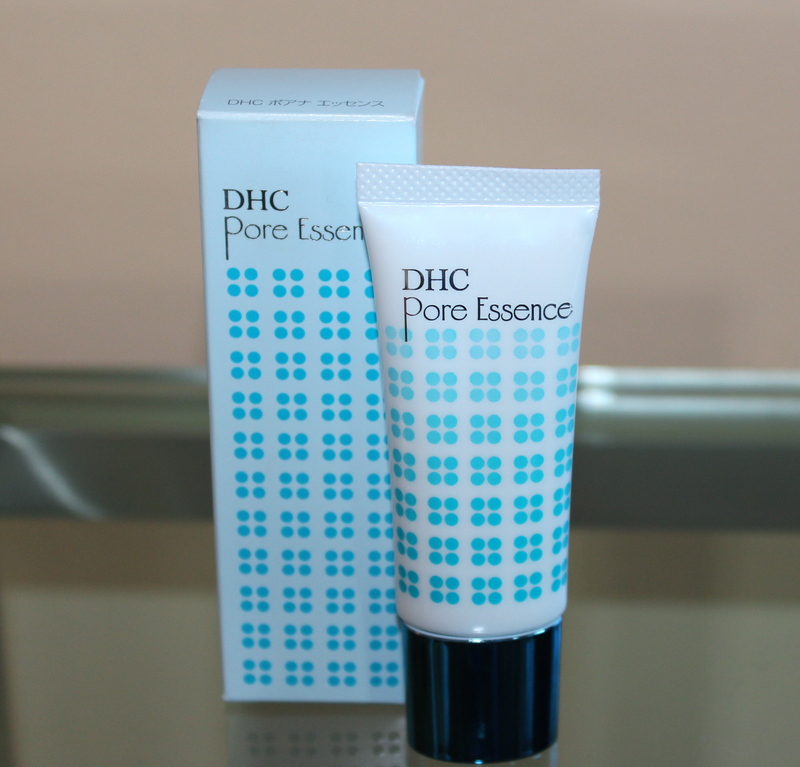 Next I use a small pea-sized amount of the DHC Pore Essence, a serum which is supposed to minimize the pores. I’ve always been trepidatious about products claiming to minimize the pores and, up to this point, have not stumbled upon one that has worked for my skin. However, after 3 weeks of use, my skin has a very smooth, velvety look and texture. How DHC has achieved these results in a serum is beyond me, all I know is both the texture and clarity of my skin have changed for the better. Again, I’m drawn to the ingredients in this product as well, with artichoke leaf extract, Vitamin C and Vitamins B3 and B6 among them. 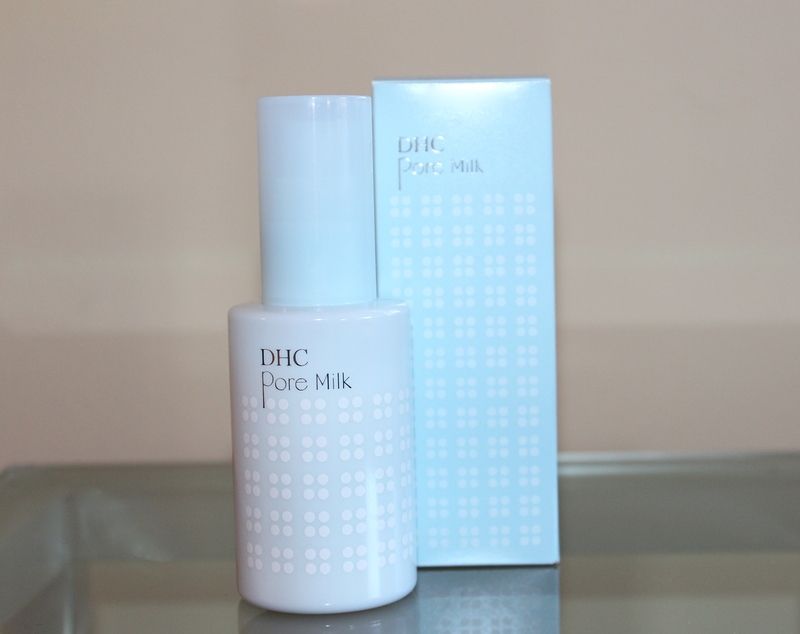 Finally, I finish off my regimen with DHC Pore Milk, a moisturizer which controls excess sebum in the skin without depleting it entirely. I really like the texture of this moisturizer, it doesn’t sit on top of the skin, but seems to absorb immediately, and an added benefit is it also combats blemishes. It contains many of the same ingredients as the Pore Lotion. After Completing my DHC regimen, it feels as if I have nothing at all on my skin, this can be a negative, but in this instance it’s a good thing. My skin doesn’t feel weighed down with product, yet it definitely has a glow and feels hydrated. As far as “cons” for the products, I’d like to see larger quantities offered, however, on the flip side, so little of the respective product is needed, it seems these standard sizes will have longevity. However, I feel the Pore Lotion is a bit steep in price at $35 for 4 ounces, it should definitely be at least 8 ounces at that price point. 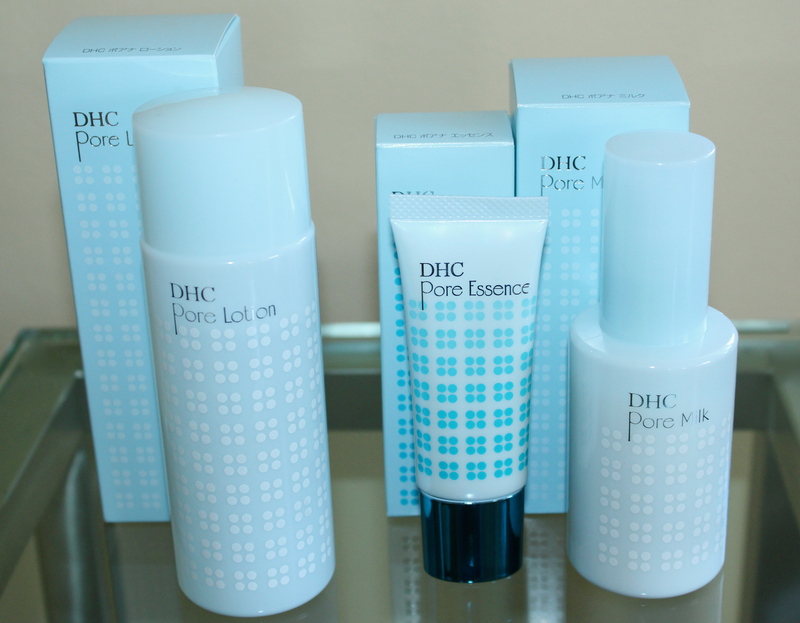 DHC is an amazing Japanese skin care line developed in excellence. Since I began using these products, I’ve lost count of the number of compliments I’ve received on my skin. I realize everyone’s skin is different; so there are no guarantees these items will serve you as well as they have me. Nonetheless, I feel confident recommending them to anyone searching for an effective, yet simple skin care regimen. With summer fast approaching, many women prefer to ditch foundation for a lighter alternative, to avoid covering up sun-kissed vitamin D infused skin. Tinted moisturizers are the answer, here are my three favourites, which are also perfect year around! 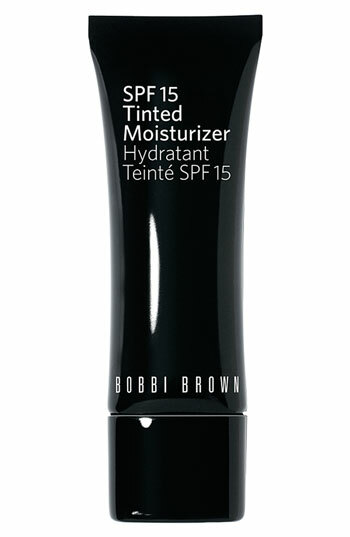 I chose Bobbi Brown tinted moisturizer because it is hydrating and contains jojoba oil which is extremely beneficial to the skin. I am prone to breakout if I am not careful with foundations, this is the reason I prefer the department store brands, the quality of ingredients is usually higher than with drug store brands. While I’m all for cutting corners when possible, because foundation sits on the skin throughout the day, it is more likely drugstore brands may lead to clogged pores. However, I have many clients who are able to slather the cheapest of the cheap of products on their face, and seem to effortlessly maintain gorgeous skin. Of course, these are the same women who sleep in their foundation… go figure, if I did either I’d be ashamed to leave the house, my skin would be such a disaster. My point is, if you can rock a drugstore brand without paying for it later in acneic skin, go for it! Chanel’s tinted moisturizer is the Mercedes Benz of tinted moisturizers, as I am sure you were able to discern upon reading the price. The unique benefit of this tinted moisturizer is an ingredient called Ceratonia PFA, it is said to stimulate hydration, and as far as I can tell this claim is true for my skin. Yes, it is expensive, however, one thing I am able to state unequivocally is Chanel products are made to last a lifetime. I am not exaggerating ladies, I have everything from foundations to shadow palettes which I’ve been using for upwards of 3 years. Honestly, I get tired of the products long before it’s time to replace them. The great thing about this foundation as well as the others posted here, is they are all packaged in a tube, this means no contamination to the product, hence a longer shelf life. 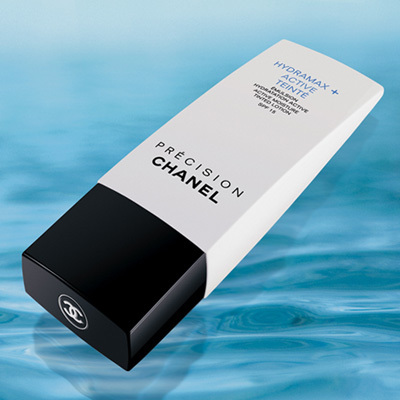 The only downside to Chanel products is many are discontinued at the blink of an eye, however, the last I checked, this product continues to be available on the site. Laura Mercier is one of my favourite professional makeup artists, not only because of her skill and talent, but also for her attentiveness to offer women of colour a wide range of choices, which is no easy feat. Many cosmetic companies struggle with formulating foundations (tinted moisturizer included) for women of colour because there are numerous, stunning hues, with varied undertones within this segment of the population. Patronizing a cosmetic line established by an actual makeup artist, has its perks, and this is simply one of many. 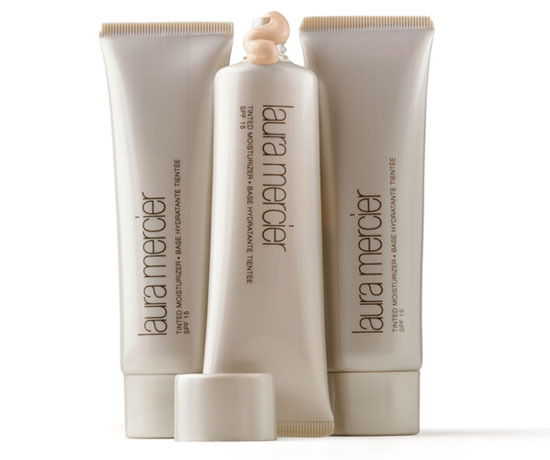 Laura Mercier Tinted Moisturizer is rated the #1 selling and has, understandably, earned numerous beauty awards. So there you have it, my top three tinted moisturizer picks. The most common complaint I hear regarding tinted moisturizers is how they are too light in consistency. This always puzzles me, after all, isn’t this the whole point, hence the name ‘tinted moisturizer?’ That being stated, if you understand application, any tinted moisturizer can be layered. This means, start with a primer, add your tinted moisturizer of choice, wait a few minutes, add more, follow with concealer on the areas where you’d like more coverage and finish with a pressed powder which will give some degree of coverage. This is actually a great way to take this little tube from summer into fall/winter, since summer is such a short month, leaving you with plenty of product to spare. Romanian born, Mario Badescu, established the now renowned skincare line bearing his name, in 1967. With a background as both a chemist and cosmetologist, Mario had a unique approach to skincare, and the desire to create quality, botanical-based products which would be effective on the skin. This desire soon manifested after years of research he had done in his New York salon. It wasn’t long before Mario began to ‘rub elbows’ with models, actors and actresses whose careers depended upon radiant skin, and continues to have a large celebrity following. Personally, I am not one to jump on a bandwagon solely for this reason, however, this did get my attention as I understand how crucial it is for those in front of the camera to look as flawless as possible. Furthermore, most are able to afford any skincare, but choose Mario Badescu. Over 40 years later, and going strong, Mario Badescu products continue to be an integral part of the skincare routines of many from a range of socioeconomic backgrounds, all over the world. The virtue of the products has remained, as well as Mario’s desire to offer effective, affordable skincare for the masses. Part of the reason the products are so reasonably priced is because of the no frills packaging. If packaging is the catalyst for your product choices, Mario Badescu may not be for you, however, if healthy clear skin is your objective, they do not disappoint. Spending a fortune on skin care doesn’t mean it will actually be any more effective than a moderately priced line. Of course, there are exceptions when it comes to specialty items such as alpha hydroxy for example, but for the every day routine, due to the molecular structure of most creams, they will only do so much. I am convinced diet, exercise and the intake of water equal to half your body weight factors in heavily. On a side note, if you ever experience the occasional breakout, the drying lotion is like magic, and has developed a cult following. The same pimple on your skin today… long gone by tomorrow! Mario Badescu offers a vast array of products to address your individual needs, as no two skins are the same. A brief consultation is recommended to assure the proper products are suggested, and always request samples prior to committing to any skincare line. Eureka! I have been eager to review this product since using it for the first time, subsequent to receiving it a few weeks ago, however, I held off so I’d be able to give valid feedback. Meishoku Detclear Facial Peeling Gel has quickly made its way to my list of favourites. It is made from fruit AHA and plant BHA, and is highly effective at sloughing off dead skin cells, and other impurities which sit on the skin’s surface. After cleansing the skin, 2-3 pumps of the Detclear Facial Peeling Gel is applied and massaged into the skin, as this is done the product forms into little balls. As a result, the skin is being gently exfoliated. It’s almost like a mini microdermabrasion in a pump, the outcome is very impressive, leaving the skin silky smooth and prepared for the products which follow. This product may not be for everyone, the consistency is quite different, it is somewhat watery and light in texture. it seems completely ineffective when I am using it, I prefer a richer products, however, the results are quite evident immediately afterwards. My skin is noticeably softer and smoother, I also have brighter since using this product a few weeks ago and the price point is quite reasonable. 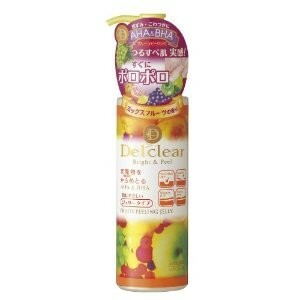 The Meishoku Detclear Facial Peeling Gel is available through amazon.com and Mitsuwa market and definitely worthy of 5 stars! Dr. Bronner’s soaps have been around since 1858, soap-making is simply in the blood of this family, as the tradition continues over 100 years after being birthed. I have a great appreciation for organic and natural products like Dr. Bronner’s, as they are so effective on the skin without the addition of harsh sulfates and other ingredients proven to be unkind to the skin. The only challenge is the packaging, like most natural products, is a bit bland. However, transferring the product to more appealing packaging adds pizazz to your sink and vanity, while allowing you to keep those creative juices flowing. It seems so much more sensible to pay less for natural, quality products that work, versus a small fortune for packaging and brand. 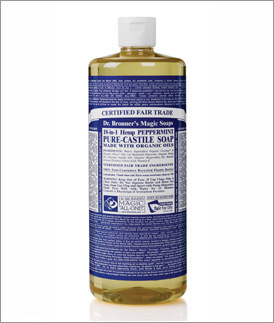 Dr. Bronner’s Peppermint Liquid Soap is a staple in my cleansing routine, it can be used on the body, face and even for laundering since it is au naturale. It is eco-friendly, refreshing, versatile and chock full of certified fair trade ingredients, as well as certified organic oils & essential oils. This product is most economical at Trader Joe’s if there is one in your area, otherwise Whole Foods stocks it and of course it is available online. I decided one year ago to replace my Conair with a new one, not because anything was wrong with it, I simply wanted to update the unit. Clearly, Conair products are made to last. This updated version is quite an upgrade from my old one, it comes with several attachments: one for facials and a separate one for sinuses, as well as two facial attachments: an exfoliating brush and sponge for moisturizer. When used on a regular basis anywhere from 3-15 minutes, the results are undeniable. The longer you are able to sit over the sauna, the better. The sauna opens the pores, therefore, using a mask directly afterwards is highly effective, as the impurities are more accessible. 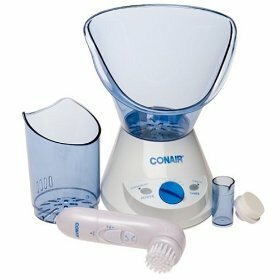 The Conair Facial Sauna is also excellent for vocalists, it keeps the chords moisturized and performance ready. In addition to using the Conair Facial Sauna, a simple skin care regimen should always follow, but be careful of the expensive department store brands, which claim to smooth wrinkles, tighten the skin, etc. There is only so much a cream can do, because of the molecular structure, it is near impossible and highly unlikely one would penetrate the skin to repair it. In fact, most creams sit on top of the skin, and trap in the moisture already there. Because the main ingredient in most moisturizers is water, it also evaporates fairly quickly. The use of skin care has its benefits, just know it is absolutely unnecessary to spend a fortune to attain them. 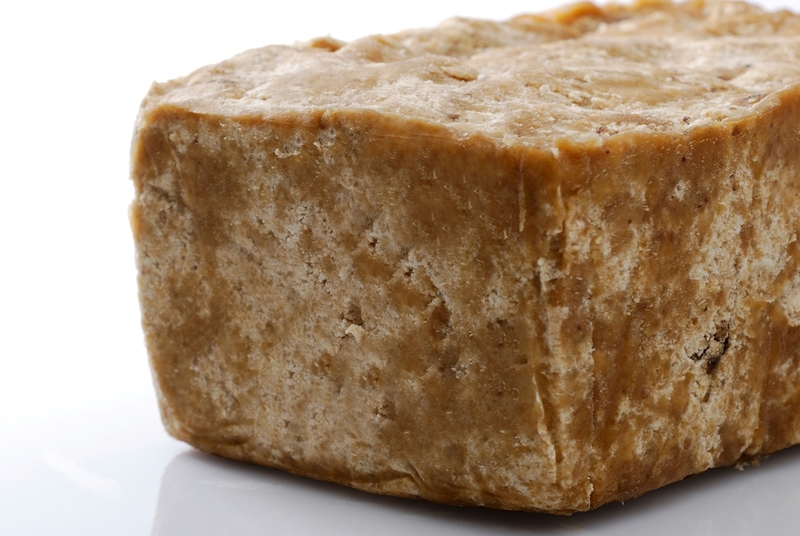 This AMAZING soap is imported from Ghana in it’s raw form, and is completely natural. It’s made from dried plantain skins, palm leaves, cocoa pod powder and kernel oil. The plantain skins are largely responsible for the efficacy of this soap, as they contain vitamins A, E and iron. In addition, cocoa pod powder has natural healing properties. 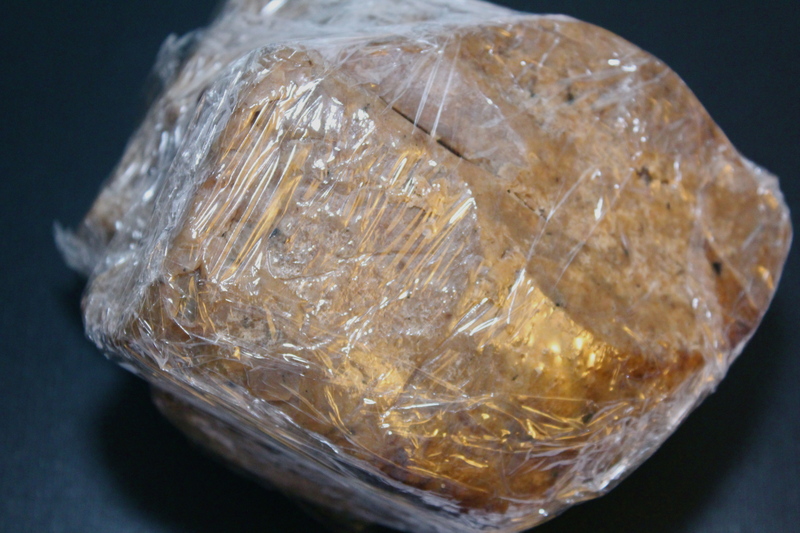 African Black Soap is an excellent remedy for acne, blemishes and hyperpigmentation. It is offered in numerous quantities, I prefer ordering it in bulk for the value, since I know it works wonders on my skin. Furthermore, it remains fresh when stored properly. If you simply want to try it in a small quantity to test it first on your skin, try etsy.com where it’s sold for as little as $5 per bar. On a side note, when in use, it is best stored in a dry container, as it dissolves if left to sit in water. Upon receiving it, I like to cut it into bars, wrap them individually in wax paper, then all of them collectively in saran wrap. The portions not in use at the moment should be stored in a cool, dark area until ready for use. African Black Soap is available through a litany of online vendors, I’ve ordered through both ebay.com and amazon.com with great success, just do your research on the vendor of your choosing. The price ranges dramatically based on the quantity. Not only do I love coconut oil on toast in the morning, it is also an amazing skin care item. I prefer to have one for the kitchen and a separate jar in my bathroom, as you might agree. I won’t digress and cite all of the benefits of ingesting coconut oil, as well as using it as a hair conditioner, since the focus is skin care. I will revisit these benefits in a forthcoming post. 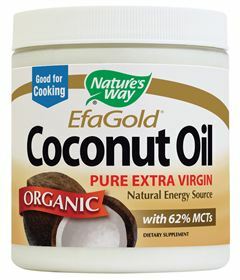 Coconut oil is a highly effective moisturizer, which can be used all over the body, however, I use it only on my face, as it may seep through clothing, although it washes right out in the laundry. It smooths the skin while protecting it from free radicals, which in turn helps to prevent the signs of aging. In terms of packaging, many appreciate the appeal of great packaging. I recommend simply transferring the product into a glass container more fitting for your sink area. This product can be purchased online or from Whole Foods and a number of other healthy grocers. I typically receive looks of surprise, which I completely understand, when I suggest this product. I remember hearing how Clinique Clarifying Lotions are strong enough to strip off nail polish. I have never tested this, therefore, don’t know the validity, however, I do know it has been of great benefit for my skin. Years ago I worked on an editorial shoot with an executive from Chanel Beaute, he raved about how this product is perfect for preparing the skin for everything to follow such as: moisturizer and foundation for us ladies. He said he’d been using it for years despite his commitment to EVERYTHING Chanel, including the skin care of course. He assured me this was the only exception, and with that, I was convinced. 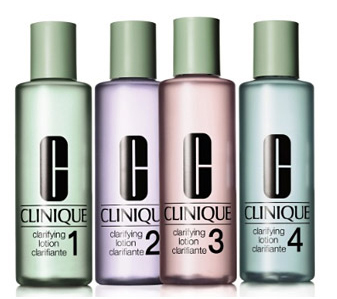 I bought the Clarifying Lotion 2 for my combination skin, and haven’t turned back after a 5 year run thus far. In fact, I was without it for several weeks a few months ago, and my skin didn’t like anything about it and neither did I. This product is a cult classic, packaged in a cute little .8 oz tin, it was first launch in 1895, and has been going strong ever since. I’ve seen a few copy cats surface lately, which bare a striking resemblance to this original, and anything other may not offer the same benefits. This product addresses: chapped lips, stings, burns, minor skin irritations and diaper rash. It also serves as an excellent moisturizer on the skin due to the many different essential oils contained in it. 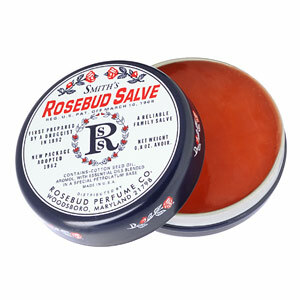 Smith’s Rosebud Salve is also packaged in a tube, I prefer the consistency of the tin, although I’ve been told it is the same. Queen Helene products have had great longevity, as the company was established in 1930. The Apricot Facial Scrub is natural and gentle on the skin, while being highly effective. I’ve been using this product since my college days, and can attest to its effectiveness in sloughing off dead skin cells without being abrasive. The skin feels baby soft after use, and on some skins it is gentle enough to be used everyday. You will know if you fit into this category by starting with 2 days per week and increasing from there. Your skin will respond accordingly if you seem to be overdoing it. 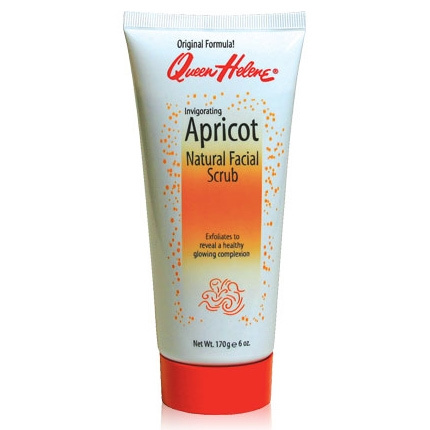 Queen Helene Apricot Facial Scrub is packaged in a 6 oz. tube and retails for approximately $8 depending upon where it is purchased. Many beauty supply stores stock it, however, it is available online at this price point with free shipping. Every culture has something great to offer, and among my favourites is Asian. Asian men and women have been using oil as part of their skin care regimen for several decades because of its remarkable benefits. Cleansing oils serve as an excellent asset for every skin type, however, attempting to convince an oily skin of this is no small feat. 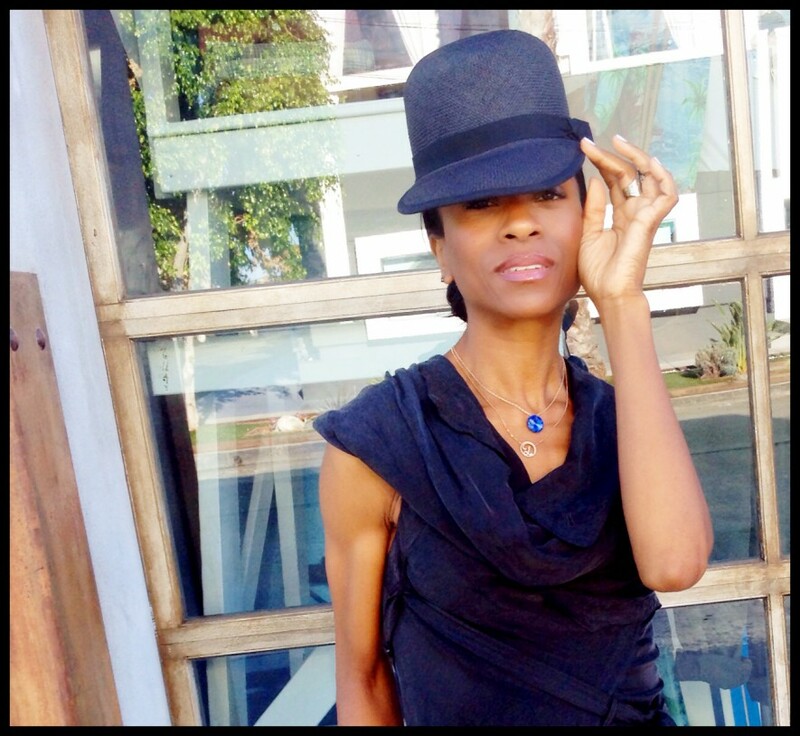 Oily skins, keep reading, your reformation is on the way! So here’s the deal, our skin naturally produces oil to help it to remain moisturized and supple. Unfortunately, because of misinformation, we strive to strip the skin of any traces of oil, which causes the largest organ in our body to work in overdrive to replenish the loss of oil. This in turn causes the skin to over-compensate for the lack of moisture, thus producing more oil. The reason skin issues begin to surface as a result, is because this over abundance of oil being produced, will eventually harden on the skin, trapping impurities underneath the skin’s surface. When this happens breakouts are soon to follow. For those with an oily skin a vicious cycle begins with them believing the culprit is their oily skin, when in fact, it has more to do with diet and fragrance or other harmful ingredients contained in their skin care. Fragrance is the number one offe nder, so read the labels, even so-called “unscented” products may contain fragrance. Aside from a healthy diet and plenty of water, a good cleansing oil should be a staple. Oil breaks down oil, therefore, when you cleanse on a consistent basis with an oil cleanser first, you are essentially breaking down the oils causing debris to be embedded underneath the skin, and allowing the pores to be unobstructed. Hence, allowing the skin to breath and clear of any breakouts and blemishes. Following up with a natural, sulfate free cleanser is preferential for most people who use oil cleanser as the first step in their skin care regimen. Two of my absolute favourite cleansing oils are: DHC ($20-$25) and Shu Uemura (starting at $30 and up). Shu Uemuracleansing oils are available in many different formulas. Both items are available online at the respective sites or on Amazon. BB cream, also known as Blemish Balm, Blemish Base or Beblesh Balm is a cosmetic item sold mainly in East and Southeast Asia, although larger beauty brands are increasingly introducing BB creams to Western markets as well. Originally formulated in Germany by dermatologist Dr. Christine Schrammek in the 1950s, the cream was initially used to protect skin after laser procedures and surgery, while also providing light coverage. BB cream has been named “the secret of Korean actresses” and has been heavily endorsed by Korean celebrities, which helped it gain large exposure in these Asian markets. Although this cream has not gained the popularity here in the States equal to Asia, it is definitely a hidden little gem. I ordered the Super 79 Beblesh Balm from Amazon for a mere $15.00 with shipping and I’ve been using it for the past 8 months now, and the results have been amazing. 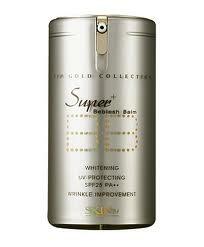 BB creams provide moisturizing, sunscreen protection, whitening and anti-wrinkle benefits. Regarding the whitening, I have no desire to be lighter, this caused a bit of skepticism, however, I have found it has not whitened , but evened out the hyperpigmentation (dark splotches) on my skin. The product is also VERY light in tone, this doesn’t pose a problem because I simply add a bit of concealer and powder to add the warmth I need. I’ve also known of women to use a light foundation over it as well to deepen it. The packaging is in a pump form, which is great because this way, there is no chance of contaminating the product. The Super 79 Beblesh Balm only comes in one tint, however, there there are options for those who may want options, such as Missha BB Cream, which is also great. Because I use it as a skincare product for it’s many benefits, I am not concerned with the tint shades since I am able to alter it with cosmetic products. BB Cream has been a welcome addition to my skincare regimen, it is a hidden little gem, which I believe your skin will appreciate as well.